Hosted by Bailamos Dance Studio and Wanner Dance Studio, Let’s Dance Eswatini! has been launched. Tickets to the inaugural dance competition are now available. Slated for March 2 at same venue; HOF, tickets to the dance competition are vying at E400 for VIP, which includes dinner and E150 for general. They can be purchased at House on Fire Gallery, Computronics at Riverstone Mall in Manzini, Luxy Garden Restaurant at Corner Plaza in Ezulwini, or eDish Café at Computronics in Mbabane. During the launch, Esteves revealed that they were also giving away tickets. “You can win tickets to the event by going to the LDE Facebook page and participating in the ‘Show us Your Moves’ contest. “Fans and amateur dancers alike are invited to send us videos of their best dance moves! Give us some kwassa kwassa or graceful ballet, your best vosho or an epic dab. “Every genre of dance is welcome! Send us a DM with your dance video by the end of day each Friday, and we will announce the winners every Saturday morning. “The contest runs right through the month of February and so there will be one winner each week. At the end of the month, we will choose a final winner who will get a grand prize of two tickets to the event, and we will share your video on our social media platforms,” she said. The celebrities have been paired with top Ballroom and Latin dancers. Dancing together in this competition are Gciniwe Fakudze and Wakhile Mkhonta, Penny Bouwer and Basil Magongo, John Pires and Neliswa Bhembe, Jordy Shiba and Phumelele Thwala as well as Siphesihle Nkwanyana and Sthembiso Mthembu. “Couples will present two choreographed dance performances at the event, the first of which will be a Ballroom and Latin dance, and the second will be a genre of the celebrities’ choice. 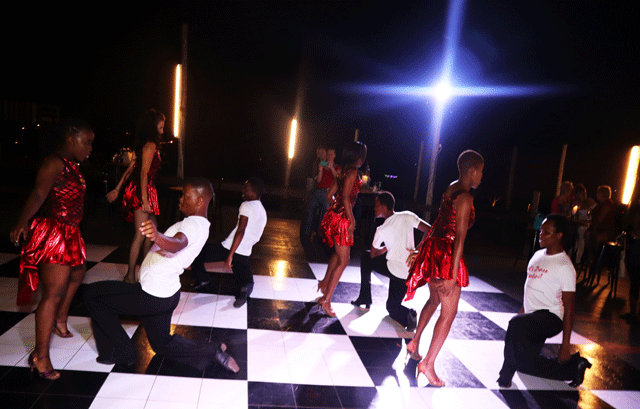 “Catch couples dancing cha cha and tango, as well as kwaito and kizomba. Practices have already started and you can keep up to date with activities by watching the videos of interviews and practices on the Let’s Dance Eswatini YouTube channel,” Esteves said. Esteves stated that winners would be determined from a combination of judges’ scores and audience voting. “There will be three judges, one professional dance sport adjudicator from South Africa, and two local celebrity judges. The audience voting system will be announced ahead of the event. We would like to thank House on Fire, Line Media, Mananga Management Centre, Ngwenya Glass, Matrix Active Gym, Serendipity, in Motion Gym, Imax Active Gym, Fitness Zone Matsapha, Apollo Printers and Sportz House for their support in making this event happen,” she concluded.